Office Depot and OfficeMax have announced a merger, teaming up to fight industry big boy Staples and competition from general merchandise juggernauts Walmart and Amazon.The move will buy time, but it won’t save the office supply chains. Not Office Depot, not OfficeMax, not even Staples, which analysts are touting as the post-merger winner. These office retailers will all be destroyed unless they fundamentally change how they do business. 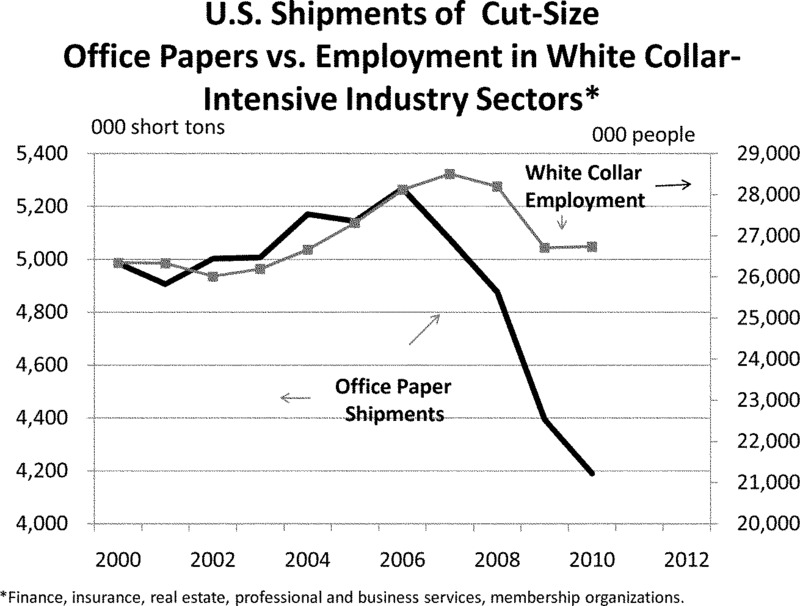 The biggest threat is the fact that workplaces are going digital, making the decline of the office supply industry a reality. 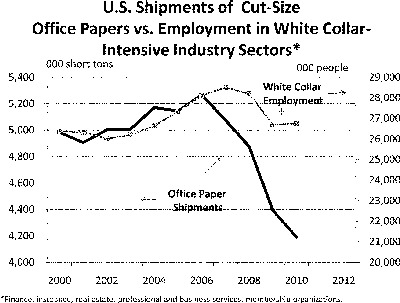 For instance, paper shipments have continued to plummet as offices go digital and become more efficient. The shift to the paper-free cloud is not only affecting paper and printers. It also means that people don’t need mega-packs of highlighters, because they’re going through data on their iPad. They don’t have to buy pens to jot down notes, because they’re typing them out on Evernote. They don’t need staplers, because a file on a computer monitor doesn’t need to be stapled. 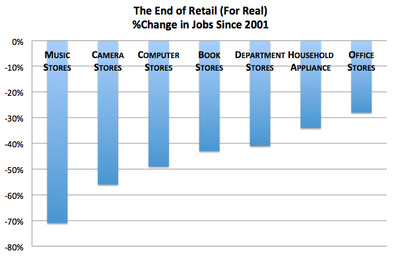 Derek Thompson at The Atlantic points out that there are only few retail segments more doomed than office supplies. And the bad news doesn’t stop there. 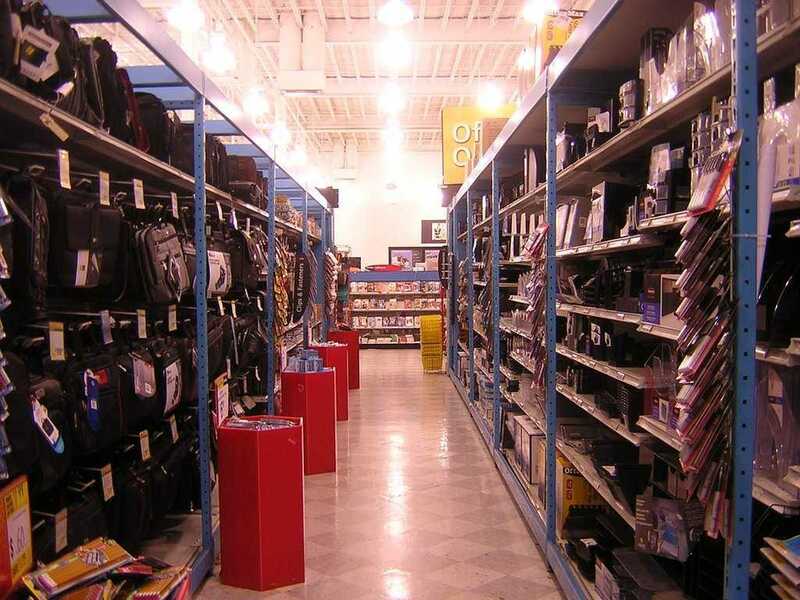 The three biggest office supply chains are all big box specialty stores — a broken concept. Best Buy, the most visible living victim of the Amazon steamroller, has started making moves to streamline itself with its smaller Best Buy 2.0 prototypes. Even almighty Walmart isn’t immune. It’s aggressively expanding its grocery business with smaller, standalone shops instead of supercenters. We’ve already seen consolidation among big boxes with the death of once-mighty CompUSA, Circuit City, Borders, Linens N’ Things, and others. K-Mart continues to close stores like crazy. Department stores are getting slammed too — jobs in that sector are down more than 40 per cent since 2001, according to the data from EMSI. Now, both Office Depot and Staples have been working on developing and expanding smaller-sized physical concepts. But it won’t be enough to reduce store square-footage. Small stores with all the same products aren’t going to suddenly make workplaces revert to the old ways. And it won’t be enough to change the product assortment away from stacks of paper notepads and manila folders if margins are being tightened due to money wasted on unneeded store space. The current model will implode, and there’s nothing anyone can do to stop it. It’s the end of the office supply retail world as we know it and these retailers will have to make radical transformations in both areas if they want to survive.